This week, I strengthened my testimony of diligence, hard work, and faith. I was exhausted pretty much every day of this last week, but I have been trying to be more diligent and faithful EVERY day, so, no matter how tired I was, I did my best to keep working. One experience we had was this last Wednesday. We had planned divisions with another companionship, but I had woken up that morning with a very sore back and a pretty strong headache with mild dizziness. But we knew that the Lord could do all things, so we prayed that I could feel better so that I could work well. Then, right after lunch (we were planning to start divisions at about 5pm), it started to rain, and it was heavy rain. We sat inside our apartment, me not feeling good, and pouring rain outside, and we talked about whether we should cancel the divisions or not. But we decided that we should put our trust in the Lord, and trust that He would work everything out. We said another prayer before heading out in the rain to meet up with the other elders, and then bundled up in rain gear. 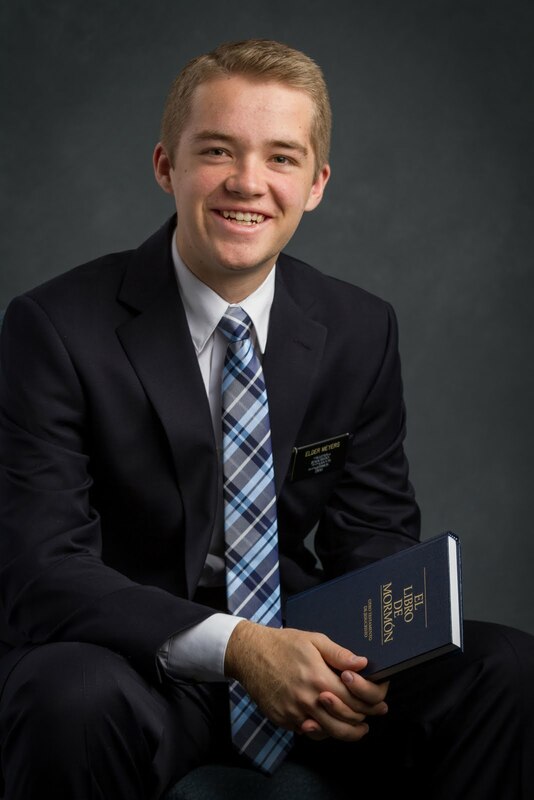 We met up with the elders in their area, and then I came back with one of them, Elder Chandler to work in our area. I still didn't feel great, but at least I felt a little better, and I could walk around without any problems. We started working, and did our best to be diligent in every moment. We were able to find two new investigators, our branch president gave us an excellent referral, and our most progressing investigator told us that he had had a personal spiritual experience, something that we had been hoping he would have for weeks now! I am confident that each one of those things was a miracle, and that each one was a result of the faith and diligence we had. And as the cherry on top, shortly after we started working, it stopped raining and there was an incredible sunset. God loves us, and He works miracles in our lives. I hope that we all can exercise faith EVERY day. I know that when we do, God will work miracles in our lives. Divisions with Elder Contreras from Chile! 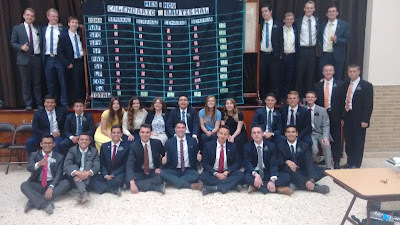 Divisions with Elder Perez from Chile tambien (not related to Presidente Perez jaja)! Our new mission-wide baptism calendar! We have a sign on our door to remind us every day to have faith that says, "Como ejercere mi fe HOY?"